Merry Christmas Eve!! I can’t believe it is already December 24th. This month has flown by quicker than I could say Kris Kringle. We have especially enjoyed the Christmas season in our family this year, as Squirrel is more excited and filled with wonder about the magic and traditions of the holiday than ever before, and her excitement is contagious! This past weekend we celebrated an early Christmas with my side of the family, and then drove up to the Salt Lake City area, arriving this afternoon, to be with Mr. Fuji’s family for Christmas. Our Christmas dinner with my family on Saturday was a riot, as my dad (aka, Fuji Papa) had asked everyone to make a dish to contribute, and no one really had any idea what each other was making. Yet somehow we had appetizers, salads, main dishes, and a dessert! 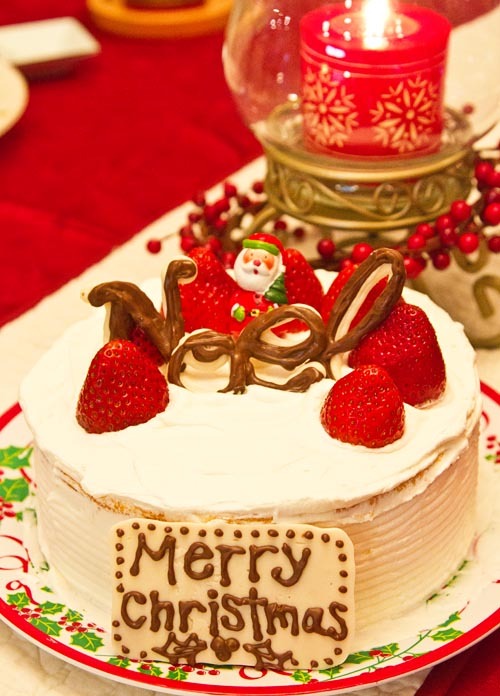 I made a Japanese Christmas cake, using my favorite Japanese sponge recipe from my friend Noriko. This time around, I added 2 extra egg whites (so used 6 instead of 4) and added about 2 teaspoons (10 grams) of granulated sugar to the whipped egg whites, so that the cake would be extra light. I have to admit, I was quite proud of the results. 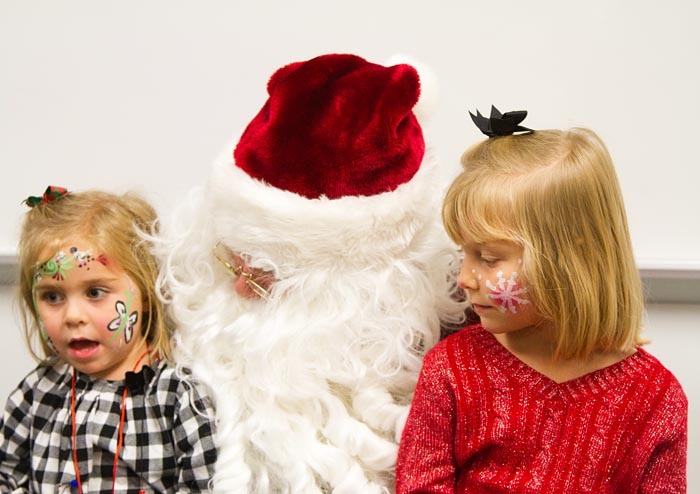 Tonight Santa Claus makes his rounds, visiting the children of the world and filling their stockings with an assortment of treats. Many children will be setting out cookies and milk for him, to ensure that their jolly friend won’t be traveling on an empty stomach, and will have enough energy to complete his trip around the globe. This month, the Lucy Eats! team thought it would be fun to think of what Lucy would leave for Santa. Since Lucy likes to think outside the box, we decided she wouldn’t choose milk and cookies. She’s a clever little girl, and so she would come up with something more practical to help sustain Santa’s energy for the night. 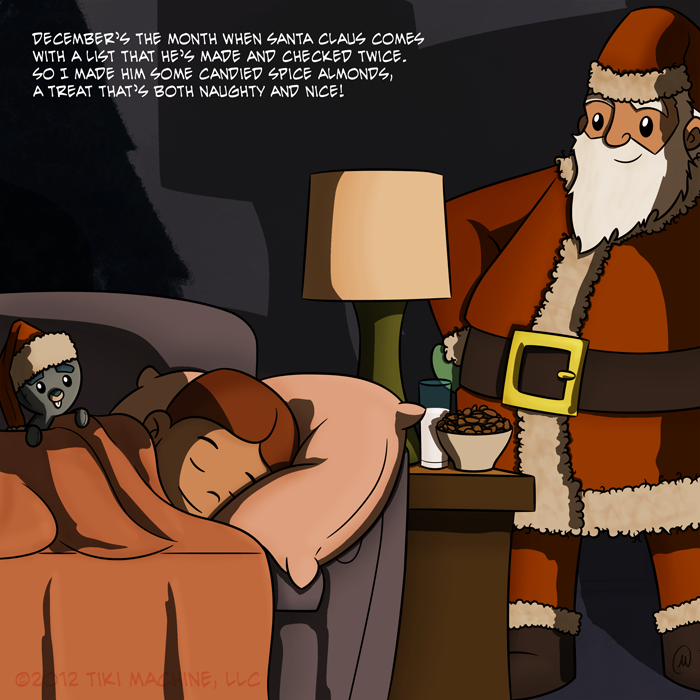 We can’t have Santa going from sugar high to sugar crash, now can we? The answer? 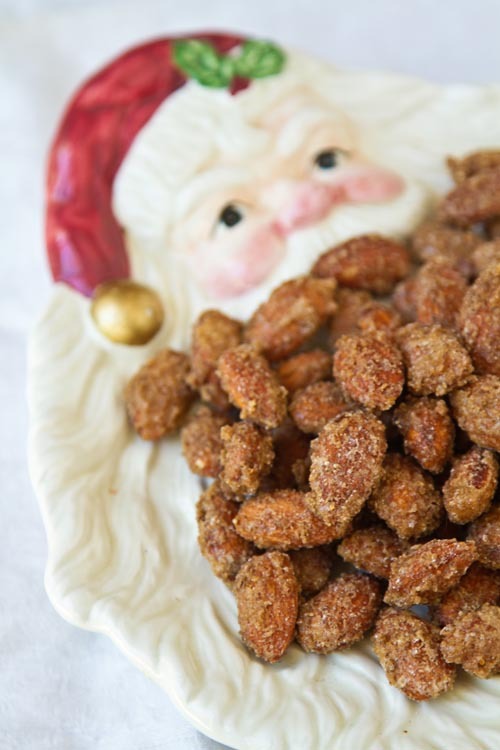 Candied almonds! 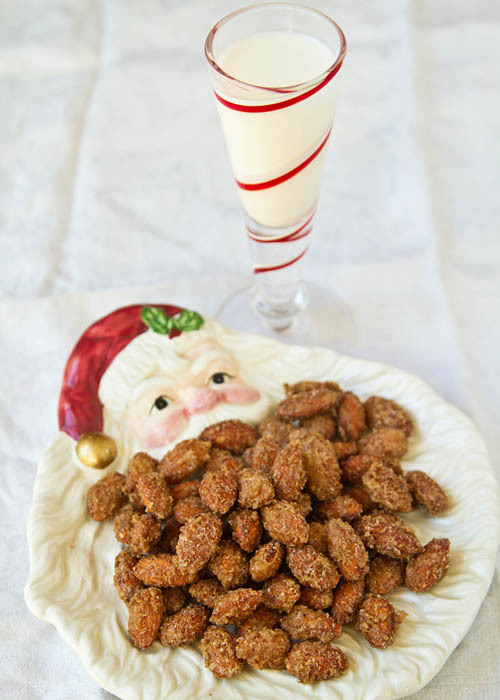 The almonds will help give Santa some protein to buoy him up, the sugar will speak to his sweet tooth, and a bit of spicy heat will give him a little kick to keep the twinkle in his eye sparkling bright. I used shichimi togarashi (Japanese seven spice), one of my favorite spice mixes, for the heat, but chili pepper flakes can be used too. 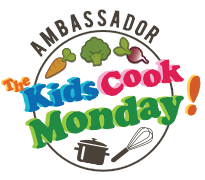 These almonds are super easy to make, and even more fun to eat—the perfect project for kids of all ages to work on in the kitchen! 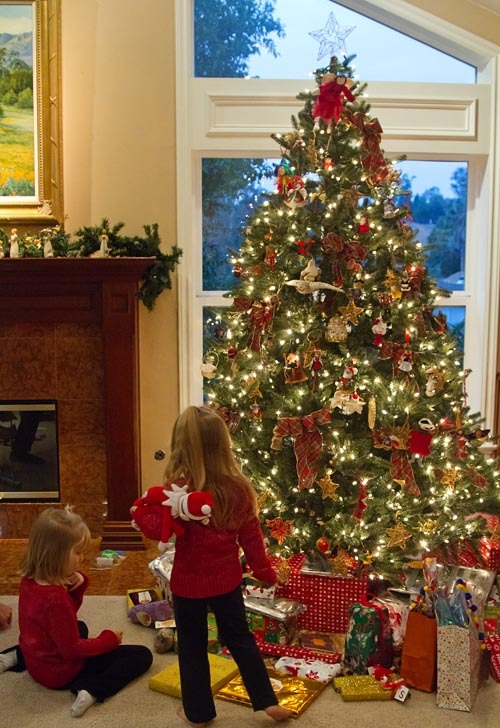 Whatever your traditions might be, I hope that you and yours enjoy being together during the holiday season. Merry Christmas from the Fuji Family!! 2. 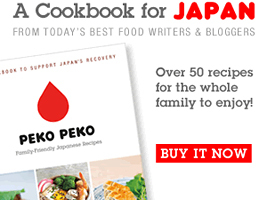 Mix the sugars, salt, shichimi togarashi (or chili pepper flakes), cinnamon, and ginger together in a bowl. 3. In a mixing bowl, beat the egg white with the water until it is frothy, but not stiff. Add the almonds and stir to coat them evenly. Sprinkle the sugar mixture over the almonds, and toss to coat. 4. Spread the almonds out in a single layer on a baking sheet lined with parchment paper (or a silicone baking mat). 5. Bake the almonds for 30 minutes, stirring them occasionally, then remove them from the oven. When they have cooled completely, break up any that are sticking together and pour them into a bowl and serve. Store in an airtight container at room temperature. 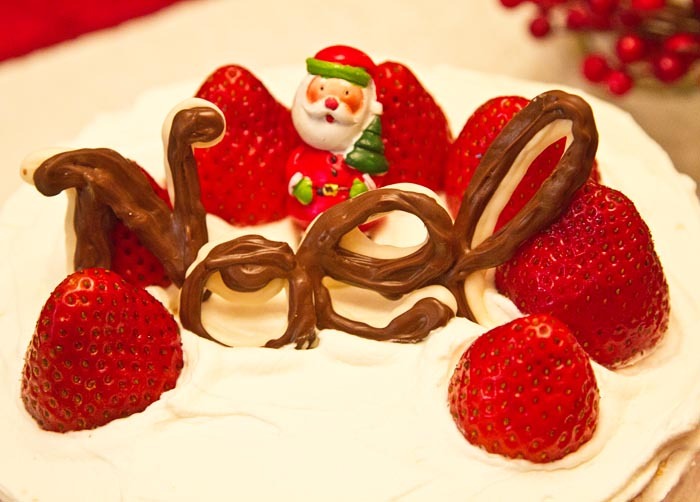 Delicious nuts, beautiful girls, cute Santa dish, scrumptious cake,world’s best daughter. @Fuji Nana — You are the world’s best mom. 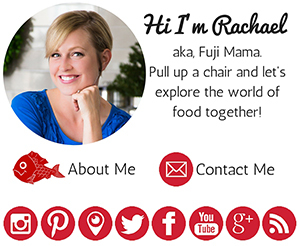 I have shichimi togarashi in my cabinet right now – I love that stuff. Plus I love almonds, so this sounds really great together. Sweet and spicy – yum. Merry Christmas from Seattle! ooh… I made myself some spiced nuts too. Addictive snacks they are. @Jayne — Yes they are! I love the nuts (too much), I’ve been downing them like crazy.